A 10 pack of the new 2015 New Beginnings Horses Christmas Cards. 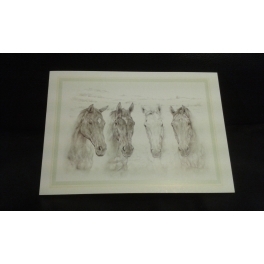 Features the 4 Ambassadors, Mister McGoldrick, Benbyas, Nanton & Golden Hello as drawn by Jonathan Sumner, a local artist who also supports New Beginnings. 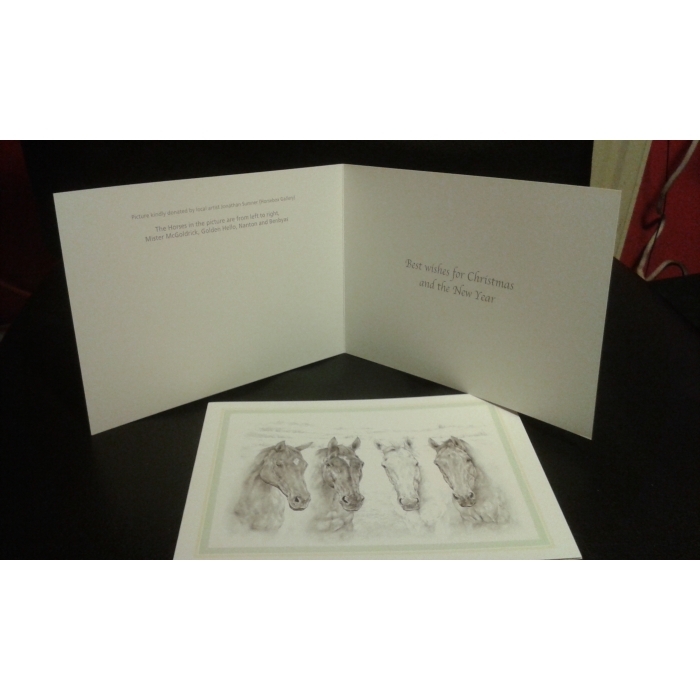 Please note - price is £5 for 10 cards, with £2 postage but presented as £3.50 each element - apologies for any confusion!